Join us for the Wimbledon Common Half Marathon on Sunday 2nd June 2019! This picturesque course takes you running through the stunning grounds of Wimbledon Common to cover the Half Marathon distance. Each mile is accurately marked out with sign posts and we have plenty of helpers to keep you on track and to encourage you on your way to the finish. Getting there from the Tube/Train station will need careful planning. Be sure to give yourself plenty of time!! You can get an 85 or a 265 bus to the start of the race, you will need to get off at the Roehampton Vale Campus (Kingston University Roehampton Campus). Use TFL to help plan your journey. The race will be starting/finishing on Richard Evans Memorial Playing Fields. The pavilion was owned by London Broncos Rugby Club so look out for their signs, there is a big for sale/rent sign out in front now. Be alert for it as it’s a sharp left off the A3. Once you are in the car park you will be able to see the start and finish. We recommend that you park at Roehampton Vale Asda which is just a short walk away down the A3. Please familiarise yourself with it before you start, there is a mixture of trail paths, well trodden pathway, and grass. 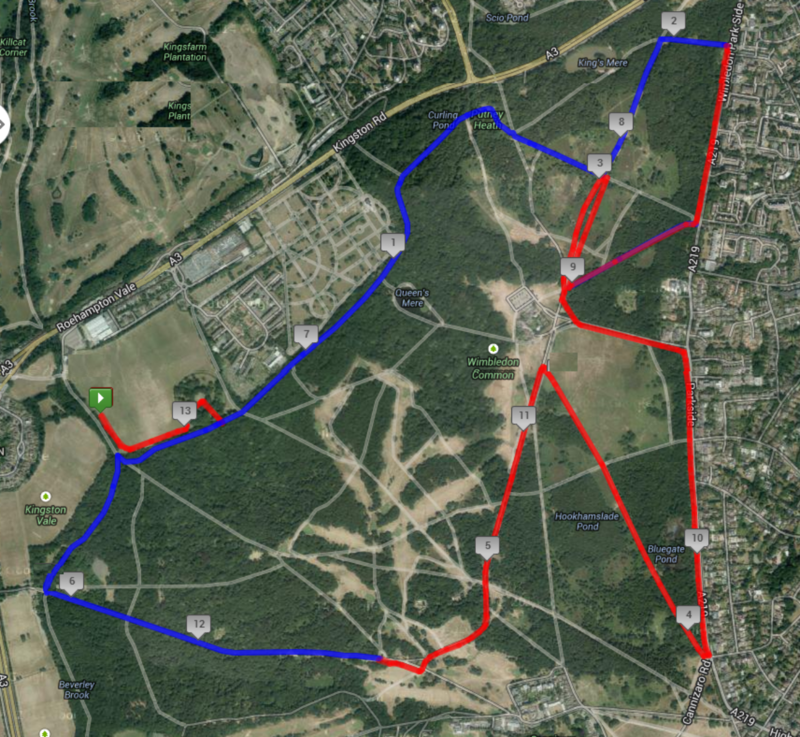 The first 1.5 miles of the loop are rather hilly, flat for around 3.5 miles and then downhill for the final 1.5 miles. The course itself has a few long stretches where there may be lots of pedestrians and by then the race will have spread out, all you need to do is run straight, if you have to turn anywhere there WILL be signage and tape or/and marshals.